LOS ANGELES -- The Los Angeles Lakers, dethroned and swept out of this year's NBA playoffs, appears to have a lot of fight left in them. Sadly, though, this fight is just against each other. The ongoing brouhaha between both sides purple-and-gold came to light sometime last week, when ex-team captain and Laker legend Kareem Abdul-Jabbar went public with his displeasure over how the Lakers organization has "mistreated" him in his basketball afterlife. 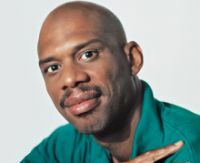 In a guest appearance at "Mike and Mike in the Morning," a nationally-syndicated program airing on ESPN radio, Jabbar claimed that the franchise no longer appreciates him. In a prior interview, Jabbar told The Sporting News magazine that he was "slighted" that the Lakers have not erected a statue of him outside Staples Center. Among the Laker greats who have statues at Staples Center include Jerry West, Magic Johnson and Hall-of-Fame broadcaster Chick Hearn. Jabbar, however, insists that the statue is merely the "tipping point." But while all men are created equal, statues are not. There is no law, state and federal, or a set criteria that mandates or determines whether a sports franchise must build a statue to honor its heroes, past and present. The decision to pay homage to an NBA player in whatever way, shape or form, is the sole discretion of the organization to which that player once played for. In the NBA, it's not always fair in love and statues. The Chicago Bulls, for instance, immediately erected a statue of Michael Jordan outside the United Center in 1994, just months after His Airness announced his retirement and subsequently brought his talents to the baseball diamond. In Utah, however, only Brigham Young seems to have all the statues. None for either John Stockton and Karl Malone. KAREEM WILL GET ONE. The Lakers brass assured Jabbar late last week that he is next in line to get a statue. If, for some reason, some of you don't think that the 7-foot-2, 225-pound center doesn't deserve a statue, let the following stats seep through your brain. The artist formerly known as Lewis Alcindor Jr., Jabbar played in the NBA from 1969 to 1989. He was an NBA Rookie of the Year awardee and was named MVP six times. He also won six NBA titles, one with the Milwaukee Bucks and five with the Lakers. The father of the skyhook, Jabbar finished his career with 38,387 points, 17,440 rebounds and 3,189 shotblocks. Jabbar appeared in 19 All-Star Games, more than LeBron James, Dwyane Wade and Kevin Durant combined.